Place stuffing in a very large bowl. Add broth and beaten egg and mix until stuffing is well moistened. Add a little more broth a splash at a time if stuffing is still partly dry. * See note below about using cooking spray on your waffle iron. Top each waffle with brown gravy and a small dollop of cranberry sauce. 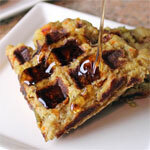 Or... believe it or not, these are great with butter and maple syrup like traditional waffles. 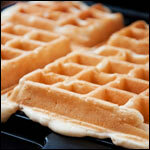 Whether or not to use cooking spray on your waffle iron? If you've used cooking spray on your waffle iron before, go ahead and spray some on the waffle plates before baking these waffles. I've never used cooking spray on mine (as it might make the plates gummy over time). I made the waffles pictured here without cooking spray and I had no problem with sticking. 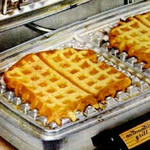 However, there is no oil in this recipe, so if you have an older waffle maker or one where waffles sometimes stick, you might want to use cooking spray. I found that these waffles look best when you don't fill the waffle maker completely. 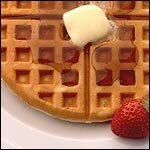 For a nice, rustic appearance, leave a 1/2 inch to 1 inch of space between each waffle and the edge of the waffle maker. 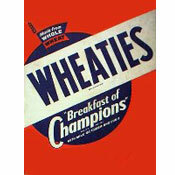 The ingredients above don't need to be exact. 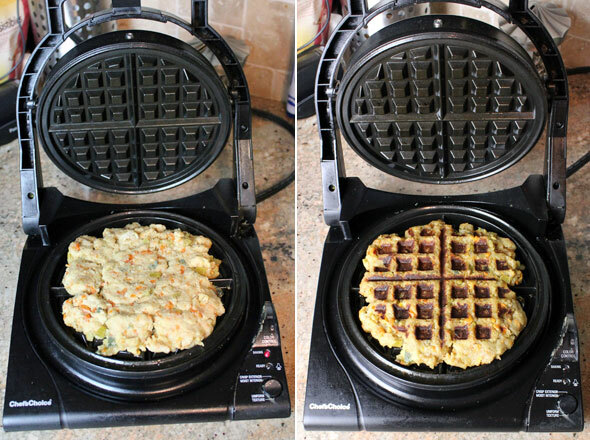 As long as you have 1 egg per each 1 and 1 1/2 cups to 2 cups of stuffing, the waffles should hold together fine. If you're stuffing is already moist, the chicken broth can be omitted. 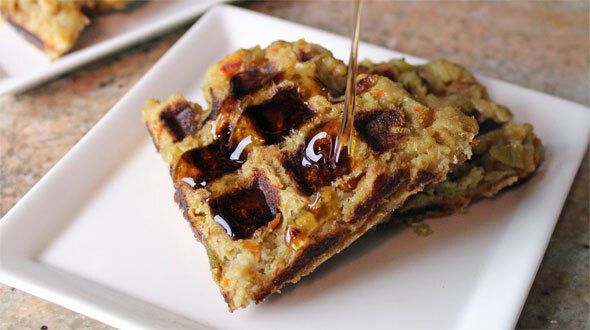 Turn leftover stuffing into delicious, unique waffles. This is easy and it works great. 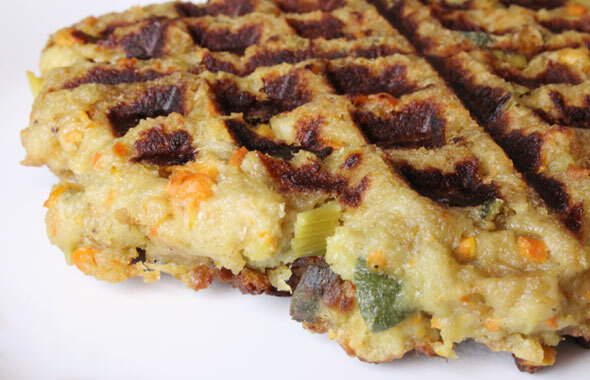 What do you think of Stuffing Waffles? Amazing! I just used Kroger brand boxed stuffing. Best thing is that it's absurdly easy.